It should take you about an hour. At the very least, you should walk away from today with a fresh Mint account to keep track of your personal finances. Click to set up free account. Everyone should be using Mint. It’s an online service that securely aggregates all of your bank accounts and credit cards so you can track your spending habits and set personal budgets. Click here to go to Mint (it’ll open in a new window). Fill out your account info. Choose your bank. I know, this is a little scary. But I promise Mint is not going to steal any of your account information or hard-earned money. They have over 2 million people using their service and I’ve only experienced good things. In the white box, click your bank (e.g. Wells Fargo). Sign in with your online banking username and password through Mint. Add any other banks or credit cards you’d like to track. Add your loans, real estate, vehicle, credit score, etc. on the left as you wish. I added my vehicle and credit score. “Complete your profile“. I chose “Executive” as my profession. Still waiting for the day that “Entrepreneur” is considered to be a professional career path. Enter your phone number in the “Email & Alerts” tab so they can send you text messages to help you stick to your budget. Adjust the notifications to your liking. Play around with your budgets. I’m budgeting $60 per month at coffee shops. Set goals based on what you want to purchase. My next major purchase is a house. Monitor your Mint account on a regular basis and adjust your spending habits based on this newfound awareness of your frivolous purchases. If you added your credit score, they will suggest you use FreeCreditReport.com to find your credit rating. I used FreeCreditReport.com a few years ago and they try to trick you. You can use it for free, but after a week they start automatically charging you on a monthly basis. Use it, but make sure you cancel your account immediately afterwards… Thankfully, now you have Mint.com to monitor these automatic charges. You should already have Microsoft Excel on your computer. If you’re making less than $5,000 per year and have one product or less, then Excel will be just fine for your bookkeeping. Once you make up to $10,000 per year, upgrade to Quicken. If you sell more than one product or make more than $10,000 annually, use QuickBooks. 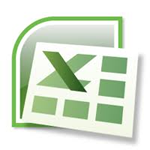 For now, we’re going to start with Excel because it’s free and simple (assuming you have Microsoft Office). In the bottom left, right-click “Sheet 1” and rename it to “Expenses“. You’ll continually update this sheet with your expenses. Right-click “Sheet 2” and rename it to “Revenues“. Right-click “Sheet 3” and rename it to “Profits“. Go back to your “Expenses” sheet and put “Date” in A1, “Description” in B1, and “Expense” in C1. So you first row should read Date-Description-Expense. Color code your “Expenses” sheet by changing the background color of row 1 to red and the text to white. Open your “Revenues” sheet and put “Date” in A1, “Description” in B1, and “Revenue” in C1. So you first row should read Date-Description-Revenue. Color code your “Revenues” sheet by changing the background color of row 1 to green and the text to white. Open your “Profits” sheet and put “Expenses” in A1, “Revenues” in B1, and “Net Profit” in C1. So your first row should read Expenses-Revenues-Net Profit. Color code your “Profits” sheet by changing the background color of row 1 to blue and the text to white. Put your cursor in cell A2 of your “Profits” sheet, input “=SUM(Expenses!C:C)” and press “Enter”. This will automatically display the total for your expenses. Put your cursor in cell B2 of your “Profits” sheet, input “=SUM(Revenues!C:C)” and press “Enter”. This will automatically display the total for your revenues. Put your cursor in cell C2 of your “Profits” sheet, input “=B2-A2” and press “Enter”. This will automatically calculate your net profit. Once you press "Enter", the formulas will become active and will show "0". Save this Excel Workbook as “[Your Company] Bookkeeping“. Now you just have to update this file every time you have a business expense or revenue. This bookkeeping system does not follow the Generally Accepted Accounting Rules (GAAP) that regulate the accounting industry, but it will do a sufficient job of tracking your expenses, revenues, and profits for your personal knowledge and tax purposes. Let me know that you did this today. Tweet meh! Click it to Tweet it!